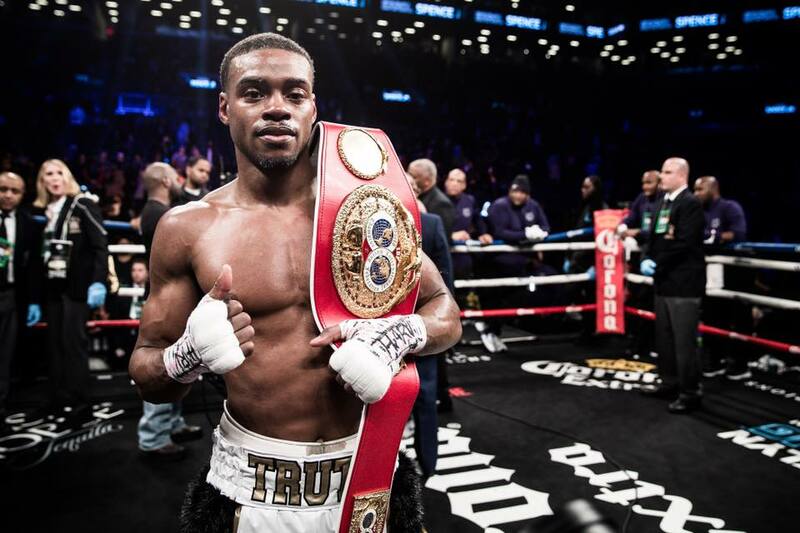 IBF welterweight champion Errol Spence Jr. (24-0, 21 KOs) continued to look impressive as he stopped Carlos Ocampo (22-1, 13 KOs) in the first round of their Showtime Championship Boxing main event, from Frisco, Texas on Saturday night. 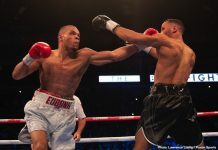 Errol Spence defended his IBF welterweight title in emphatic fashion on Saturday, and put the rest of the 147 division – Thurman, Crawford et al – on notice. 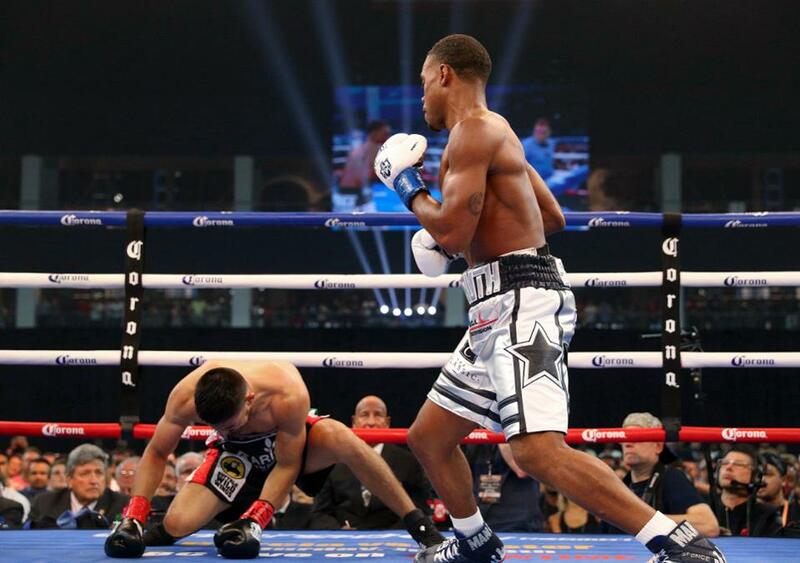 Spence incapacitated young Mexican challenger Carlos Ocampo with a brutal body shot at the end of round one, concluding affairs at The Ford Center at The Star, Frisco, earlier than expected, although the fervent pro-Spence crowd of 9,000 seemed happy enough. 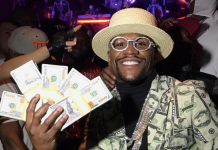 Despite his unbeaten record and high IBF ranking (no.3 at welterweight), Ocampo came into this fight as a heavy underdog, and it wasn’t long before fans could see why. Spence stalked the taller (much taller looking than his official 5’10.5″) but slender looking Ocampo from the start, taking a few of his opponents shots and quickly realising Ocampo couldn’t hurt him. 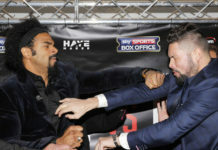 The youngster showed good technique and fast hands, was game and stood his ground, but crucially, his shots had no effect on the champion. Spence was targeting the body with scything, thudding shots, and as the first round came to an end, Spence smashed one last body blow to Ocampo’s liver and he fell, poleaxed. Referee Laurence Cole could have counted to 50, but Ocampo was paralyzed with pain and wasn’t going anywhere. The youngster is only 22, hopefully he’ll come again. As for Spence, it’s way to early to be putting him at the high-end of the P4P list, he needs to prove he’s “The Man” at 147 first. Newly crowned WBO champ Terence Crawford and injury plagued WBA titlist Keith Thurman will want to prove he isn’t, as will WBC top-two Danny Garcia and Shawn Porter. Also, watch out for the WBC’s no.7 contender Kerman Lejarraga, the undefeated slugger from Spain’s Basque country who fights like the late Edwin Valero. Previous articleSergey Kovalev Is Back! Krusher Ices Shabranskyy In Two!